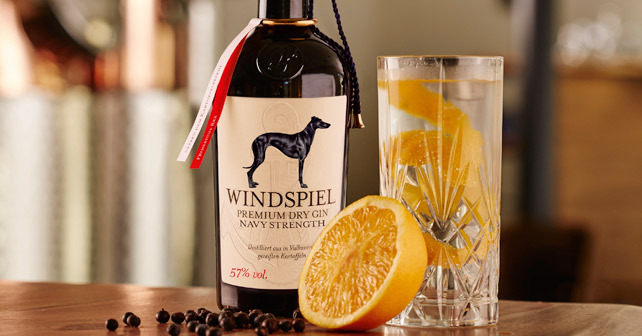 Limited to 1,600 bottles, German spirits manufacturer, Windspiel, have released their first Navy Strength Gin (57% ABV). Originating from the Vulkaneifel area of Rhineland-Palatinate, their mix of home-grown potato alcohol with intense juniper and citrus, alongside ten other botanicals, which include lavender, cinnamon bark, coriander, cardamom and gingers from the Weilerhof region. Like their London Dry Gin, it is said to match perfectly with their own Tonic Water and Organic Midsummer Night's Dream lemonade.